The TPZ board clamps offer a simple and effective way to vertically lift and transport a variety of materials such as wood, MDF, plasterboard, stone and plastics. The clamp has been designed with large rubber pads to minimise damage to the loads and the handle enables the operator to guide the load easily during operation. They can also be used to lift loads from the horizontal to the vertical through 900 for transportation. The range has been designed to be user-friendly and the handle enables the operator to guide the load easily during operation and each clamp is supplied fitted with large rubber pads to minimise damage. 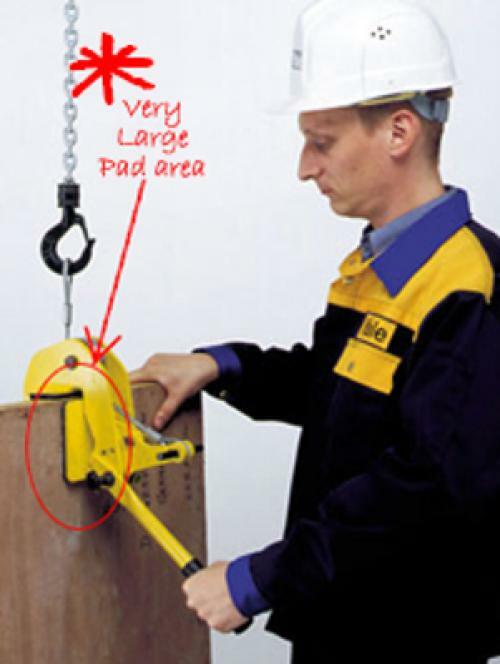 These clamps are ideal for production facilities and especially on construction and building sites.